Whenever you hear somebody say that you don’t know what you’ve got until it’s gone, it can often feel like you’re being subjected to the oldest trope in the book. Clichés may not get more broad and sweeping than that one, or at least that’s what I would have thought until I remembered just how much fun it is to see Tiger Woods in contention in a golf tournament. Much has been made about the new breed of players coming through, and indeed their collective muscle and skill is undeniable. Jordan Spieth is a phenomenon who seems entirely immune to the pressures that cause so many around him to crumble. He is the closest thing the game of golf has seen to an ever-consistent machine, and most importantly of all, he is still only 22 years old. Rory McIlroy is the spark plug who brings that air of unpredictability to the game. When he’s on, it’s like nothing you’ve ever seen before; he’s a force of nature. As we have seen so often in the past though, to the same token it can sometimes take very little for him to unravel completely. Jason Day is a magician who understands shot-making better than almost anyone else in the game. His ball flight might just be the highest on tour, and any time he finds himself out of position Day can show the deftest of touches to regain composure. Then you have Dustin Johnson. The South Carolina native may be the most bombastic player on tour now, as he almost plays a different game to everybody else at times with his prodigious length and silky soft touch. The fact that he remains so combustible is more a result of what lies between his ears, than how he finds his ball lying in the grass in front of him. They are just four of the young guns on tour who can provide box-office golf of the nature that everyone witnessed at the US PGA Championship last week, yet this doesn’t feel like golf’s golden generation. As deep as this talent pool might be, this doesn’t feel like a new dawn or a heyday is approaching just around the corner. The reason why they don’t resonate as such is simple too. Fans of the game had been spoiled by the show-stopping, heart-pounding presence of Tiger Woods for far too long. Try to propose it any way you choose, but the facts are simple. 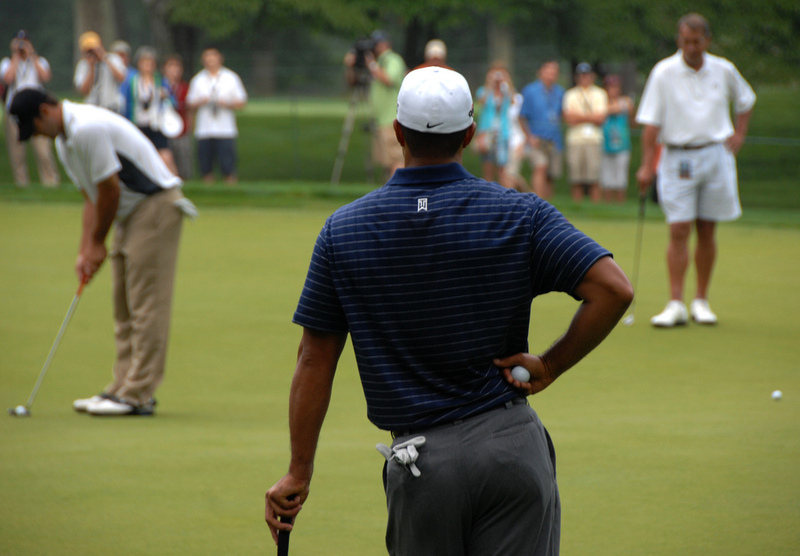 Golf needs Tiger Woods, and in all likelihood, Tiger Woods now needs golf too. At 39 years of age, Woods has an estimated net worth in excess of $600 million, so he doesn’t need the sport for any form of monetary reasons. You don’t get to the heights that Woods reached though without an insatiable desire to compete and win, and without his fix of that unquestionable rush, I’d guess he won’t be quite as happy. It’s not a desire to see a man who has had more than his fair share of off-the-course issues be happy that provides the thrill of watching Woods get himself into the mix at a golf tournament though. Instead, it’s the way in which he does it. It sounds cheap and inept to describe it like this, but although many claimed he lost it years ago (along with his game), there remains an aura to Woods. He plays with a certain gusto and energy. Tiger’s fist pumps have been rarer in recent times, but whenever they do crop up, they still seem to draw a crowd in more than the celebrations of his peers. Tiger Woods’ golf (and at this stage, his life in general) can be an emotional rollercoaster, but it’s one that people seem all too happy to get swept away on. With Woods tied for the lead heading into the third round of the Wyndham Championship at Sedgeboro Country Club, there’s a palpable excitement. It’s human nature to love the underdog story, and as incomprehensible as it would have sounded ten years ago, that’s exactly what Woods has become. Tiger will play in the final group of a PGA Tour event on the weekend for the first time since he was victorious at the Bridgestone Invitational back in 2013. That was Woods’ 79th victory on tour, and it remains his most recent. That could be what makes the Tiger of 2015 more intriguing than any other too. Woods still clearly has the same determination, and can evoke the same passion in fans as he did in the past, except now the story isn’t just about chasing history. The California native’s narrative is now driven not just by a pursuit of Jack Nicklaus’ major championship record that grows into more and more of a pipe dream by the day, but his is now also a tale of the older, storied prize fighter trying to make his way back into contention. That story is normally driven by the thought of just one more win, or just one more title, but the difference with Woods has to be that if he gets a taste for success again, who would be brave enough to put it past him to discover a second wind? 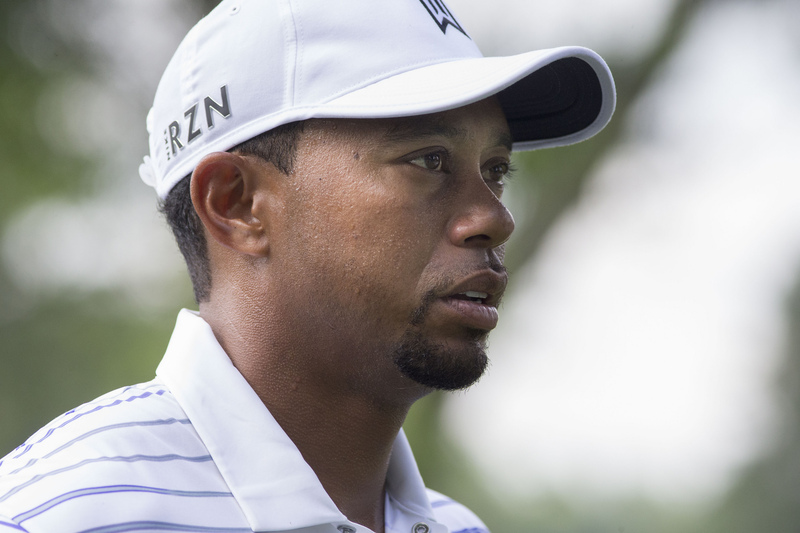 The immediate challenge for Woods comes in holding it together on a Saturday in competition. Saturday’s third round is traditionally referred to as “Moving Day” on tour due to the usual drastic leaderboard shifts, and in the past it had always been where Woods came into his own. The ultimate irony is perhaps that it might reasonably be labeled as his biggest weakness in recent times though. In the last four PGA Tour events where Woods has successfully navigated through to the weekend he has proceeded to have not only destructive rounds on the Saturday, but his worst of the week. A third round 75 put paid to his slim chances of a Sunday charge at TPC Sawgrass during The Players Championship. Then although not playing anywhere near his best, Woods was also hanging around at The Memorial until a career worst 85 ensured his implosion. Most recently, in his last two made cuts Tiger has recorded three out of four rounds in the 60s, with only rounds of 71 and 74 at the Greenbrier Classic and the Quicken Loans National respectively letting him down. Is the prospect of getting within reach of that once familiar spot on the podium too much for Woods to handle mentally now? For one of the most psychologically strong athletes of all-time from any sport, that is now a legitimate question. Heading towards the end of a season that has featured some exceptionally entertaining major showdowns and the emergence of more young stars, it still feels like nothing would buoy the mood of the sport of golf as a whole quite like seeing a legendary figure return to relevance. I mean who wouldn’t want to see Woods go toe-to-toe and attempt to hold his own against the likes of Spieth and McIlroy? As much as that may be a dream scenario for the fans, I can guarantee there’s one man who would want to see that come to fruition more than anybody else too. In the meantime, we’ll just have to wait and see if Sunday red could really come back into fashion one more time. ← Premier League Preview 2014: Are Burnley Up To The Challenge?